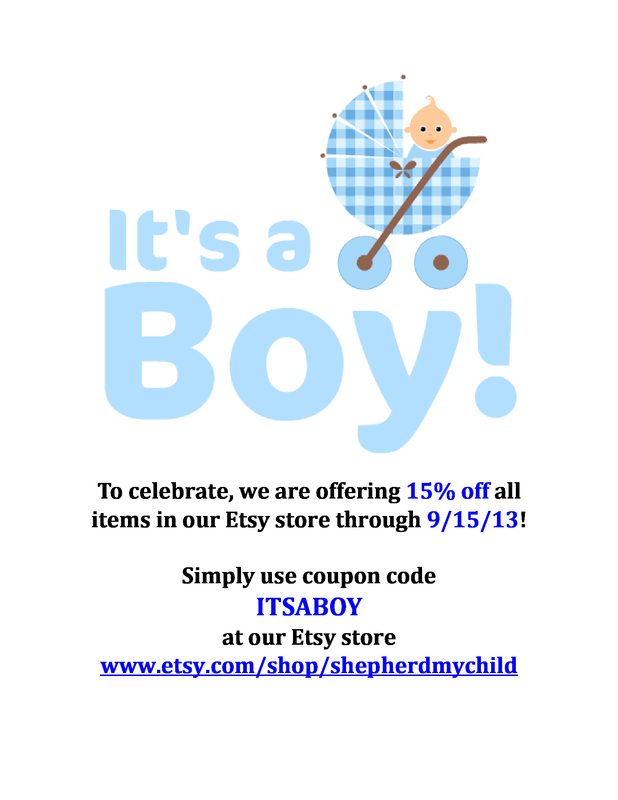 Home › Uncategorized › 15% discount b/c "It's a Boy!" This will be our last “coupon” code of 2013 (since the holiday shopping season is about to begin), so make sure your place your stocking stuffer orders now so you can save, save, save!!! Thanks for looking!! !